Duchess Kate performed an unannounced engagement today before accompanying Prince Charles and the Duchess of Cornwall to the The Dulwich Picture Gallery. The 30 year old met Team GB's hockey players at the Olympic Park in London. Kate told royal aides she was 'very excited' about the visit. 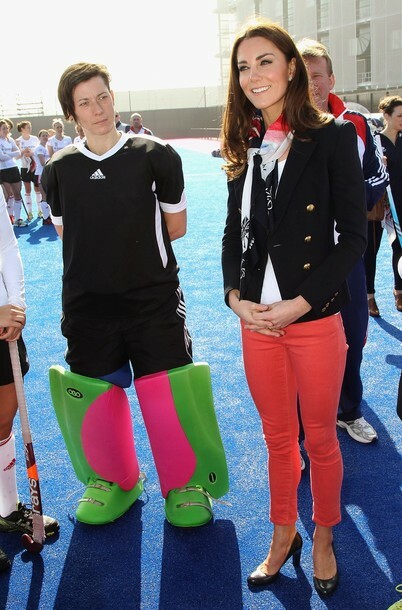 Kate was captain of the first XI hockey team at Marlborough college, It seemed a natural choice for Kate to begin her role as Olympic ambassador with the hockey team. Kate toured the park and met staff and dignitaries during the ninety minute visit. She chatted about training methods with physios and coaches 'I used to play at school and I remember my muscles at the beginning of season were agony. Do you still get bananas and oranges at half time. Duchess Kate perfected casual chic today wearing the Emilio Pucci Punto Milano Jacket. (With many thanks to the wonderful Ayvee) The classic double breasted wool jacket is available in black for £1,145.00 here. Another new designer for Kate. "Ice in your mind, fire in your belly. This hand painted lion is a visual reflection of a quote that describes the sheer courage, talent and determination of our Great British Athletes. If you look closely you'll also find 60 hands to symbolise the athletes' sixty million supporters and the map of Great Britain." After a quick wardrobe change Kate accompanied Prince Charles and Camilla to the Dulwich Picture Gallery where Charles introduced Kate to his charity Children and Arts. 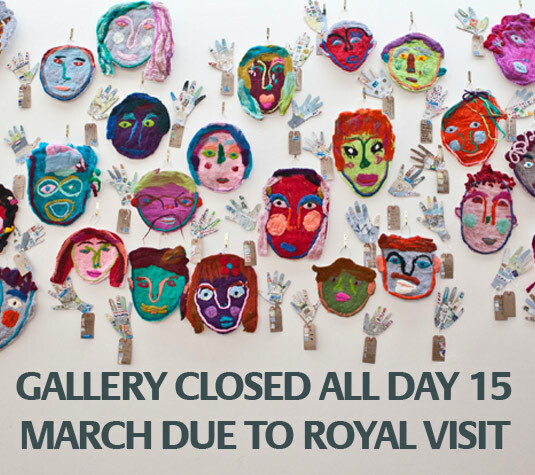 The gallery closed today in honour of the visit. Their Royal Highnesses met school children participating in the Great Art Quest project which introduces children from deprived areas of the UK to visual arts by partnering schools with local galleries, professional artists and storytellers, and providing them with the skills and confidence to create their own work. "I created my foundation for children and the arts because of a fundamental belief that everyone should have the opportunity at an early age to be inspired by the arts." A Clarence House spokesman said the visit came about from a conversation between a father in law and daughter in law who have a shared interest in art, art therapy and children. Charles and Kate appeared to thoroughly enjoy experimenting with iron artwork. 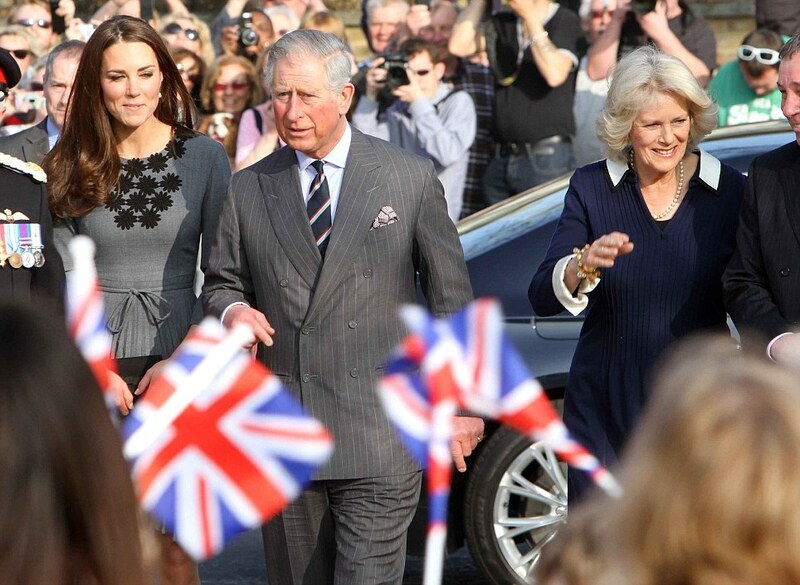 Kate remarked it was like 'being at home'. The Duchess teamed her dress with the black suede Episode pumps she wore last week in Leicester. 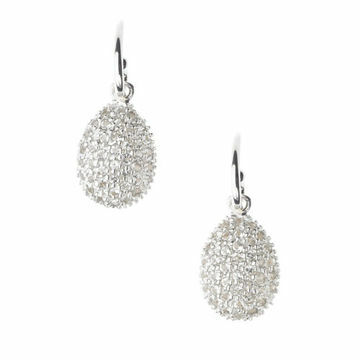 Again Kate opted for simple, classic jewellery wearing a silver bracelet and her Hope Egg Earrings. The earrings are currently available for £275. Sky newsreader Kay Burley mentioned the incredible interest surrounding Kate's sartorial selections 'The interest surrounding what this young lady wears is immense'. 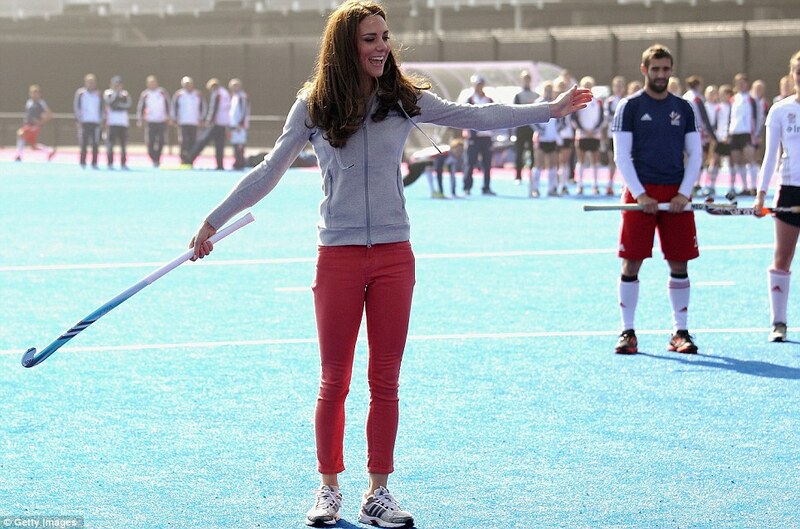 We will now see 'Repli-Kate's' wearing coral jeans everywhere! The face of the British monarchy is changing and the next generation of royals are more relatable, relaxed and well fun..... :) I thought today's engagements were a resounding success and adored both of Kate's outfits, particularly the first. 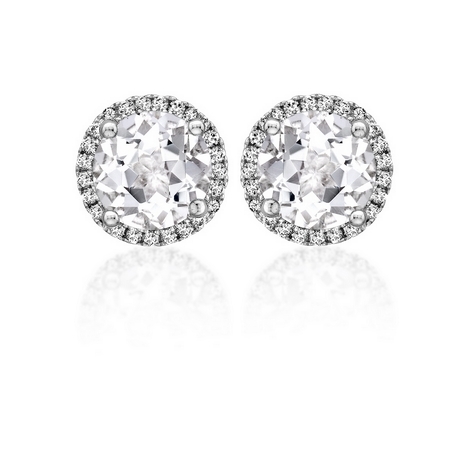 What are you thoughts on todays engagements and looks? You can watch videos at The Telegraph and The BBC. LOVE her outfit today! I'm guessing she's wearing her Ralph Lauren jacket again? I loooove these! And I love you for covering this so quicly! This is such a nice surprise. I love the pink skinny jeans. I have a pair myself. Thank you all so much. Kate is now on her way to the Dulwich Picture Gallery. I think it's the JCrew double breasted school boy blazer! Anonoymous That's a very good idea, I'll look into it! Excellent work! What a lovely outfit - she really looks lovely in those jeans. Also v. chic look for Dulwich - she makes it all seem very easy! Such a shame that she's worn grey, I was hoping she'd wear a really beautiful springy colour! i def prefer the tean gb outfit, tho: the colors look really good on her, like the color coordination, a nice mix of relaxed and chic. it's hard to wear a scarf without looking costume-y or 60+, but i think kate really pulls it off. my only suggested change: wearing her wedge patent shoes, instead of heels - heels just look odd on a playing field. plus i think wedges would have gone better with the coral jeans. i really like the grey dress's style: such a flattering cut for her body type. chic, formal enough for the occassion without resorting to a suit. i join in hannah in wishing the color was spring-y; the grey looks esp drab after the morning's outfit esp those coral skinny jeans! I was thinking the blazer might be Smythe.. It seems that blazer is Emilio Pucci, Ayvee from WKW discovered it, will update post shortly. She looked amazing as usual! I loved, loved, LOVED the coral jeans. She rocked it with the navy blazer and heels. I'm aware of the ambivalence of discussion regarding her heels, but personally I thought the heels added the right touch of formality to her look. I LOVE how she looks in a hoodie and sneakers. She is so d*mn adorable, relatable, personable...it kills me! You can't fake that kind of thing IMO. 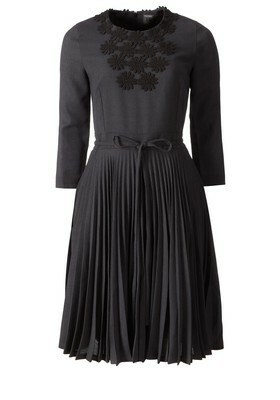 The grey Orla Kiely dress was phenomenal too. She dresses perfectly for each and every event. It must be exhausting to always have it down perfectly, you know? Moreover, she makes it look effortless. Which makes her all the more awesome! Her charm, that smile, THAT hair, THAT BODY! Oh emm geee. I'm in love. The second outfit was great too. Again the beautiful Duchess hit it out of the ball park. She looked so chick dressed in her skinny jeans, blazer & heels. This is the way the ladies dress when they are shopping on Rodeo Drive in Beverly Hills California. Then she dresses in that beautiful gray dress. I liked the way her the Prince Charles matched in the color. It reminds me of how the Duchess & her Prince dress in matching color at times. I am so happy that the Duchess was herself today when she went and visited the hockey team and played with them. It just proves how relaxed she is in her own skin. And how her Prince has helped her in learning her duties as a new member of the royal family. She bring such a breath of fresh air to the royal family. And by the Queen inviting her along on her engagement just proves on how much she cares of the Duchess. Now let's get her to finish her next two engagements so she can spend time with her Prince who will be returning in the next few days. Let's hope they disappear for awhile to be by themselves. Thank you Charoltte for thsi great blog. The pictures were great. The classic navy blazer is another winning choice, but I am in the minority here as far as the jeans are concerned. Lol. While I like the cut and it's very flattering on Kate, I think navy would have worked better with her shoes, or perhaps a more casual wedge with the pink jeans. I very much liked her outfits today. Kate has very good taste and looks appropriate for the occasion(s). Thinking back to what she wore when she was with the Queen, and then today with Prince Charles and Camilla, I think she has - on purpose - chosen outfits that are colored more on the subdued side in deference to the more senior royals. She looks great- as always!! very trained leg! respect! It looks as if she is wearing her BEZEL-SET DIAMOND STATION BRACELET (TIFFANY & CO 3 STONE DIAMONDS-BY-THE-YARD IN STERLING SILVER). 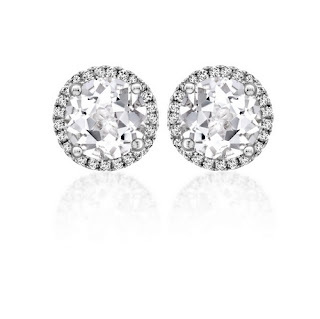 I thought I recognized it from Diana's Jewels website. I totally agree with Well this is awkward.. LOVE the jeans. I had my eyes open for a pair when I did some shopping yesterday :) And I think the heels were very appropriate for the occasion. The dress looks really nice but it's def not one of my fav outfits of her. I'm hoping to start my own website soon but I'm a little lost on everything. Would you advise starting with a free platform like Wordpress or go for a paid option? There are so many choices out there that I'm totally confused .. Any ideas? Appreciate it! I use Blogger and find it excellent, Wordpress offers more customisation but I find blogger easy to use and relatively bug free. It's really all about the content, write about something you enjoy and update whenever there is new news on the topic. Social media is a great way to get your blog out there! Good luck.